ON THE WAY OUT? 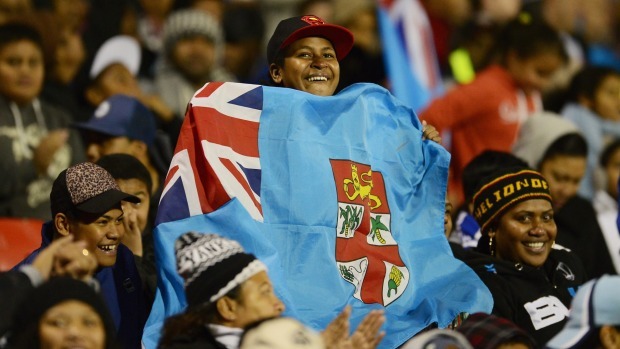 Fiji′s prime minister says the country will have a new flag by October. Fiji is to drop the Union Jack from its flag and will have a new one by October this year, Prime Minister Frank Bainimarama says. He made plain he wants to beat New Zealand Prime Minister John Key to the change. "Fiji intends to the lead the way by adopting a truly authentic expression of who we are and where we are, rather than honour someone else′s flag," he said in a speech. He intends holding a competition next month and a selection panel was in place. "And the whole selection process has been designed so that we will be ready to hoist our new flag on the 45th anniversary of our Independence – October the 10th, 2015." 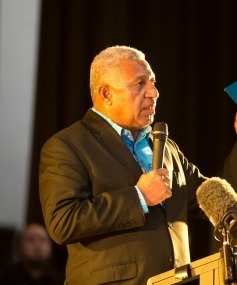 Bainimarama, who seized power in a coup in 2006 and won democracy-restoring elections last year, says it was now time for a symbol that is more in keeping with Fiji′s national aspirations in the 21st century. The Union Jack and coat of arms on the existing flag were anchored in the colonial past. "The existing flag is widely loved and admired and I want to stress that this initiative is in no way a repudiation of it or the warm sentiments we all feel whenever it is raised. It has served us well since it was introduced at Independence in 1970," he said. Fiji′s United Nations peacekeepers had fought and sometimes died under it. "The Union Flag belongs to the British, not to us. "The shield on our flag has the British Lion and the Cross of St George – a British patron saint. What does this have to do with us? "They are the symbols of the coloniser – Britain – a country with whom we are friends and will continue to be so. But they are not symbols that are relevant to any Fijian in the 21st century." Bainimarama said he had an open mind on the new flag. "My preference at this stage is to retain the existing "Fiji blue" background – but without the Union Flag and Shield. But I′m excited to see whatever ideas the Fijian people come up with." The first of two referendums on changing New Zealand′s flag could be held this year, with a decision made in early 2016, Key announced late last year.